Address: 40 Russell Hill Rd. 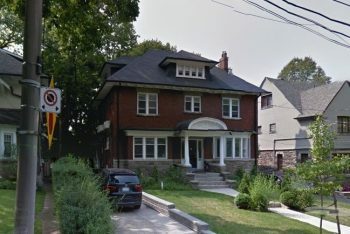 Executive rental fully renovated South Forest Hill home on tree lined street. Perfect for raising a family or entertaining. Four finished floors with walkout from the lower level to large rear yard. Two car garage in rear can be used as a workshop or hobby room. This home has 5 bedrooms and 4 baths and a main floor family room. Driveway with room for 3 vehicles. Accessible to downtown core, shopping, restaurants, parks, tennis clubs, etc. Includes: washer, dryer, refrigerator, stove, dishwasher, microwave and air conditioning.